Previous PostPrevious Lleida - Serveis Territorials d'Agricultura, Ramaderia, Pesca i Alimentació. It was possible to vote normally. Before the polling station opened people practised civil resistance methods. People find out that the universal census has been enabled, whereby voters could vote in any available polling station. 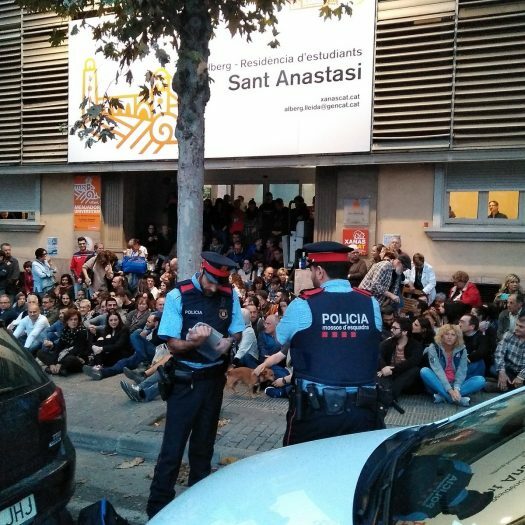 The Mossos d'Esquadra arrive and the people sit in front of the entrance (photo by David Marin). 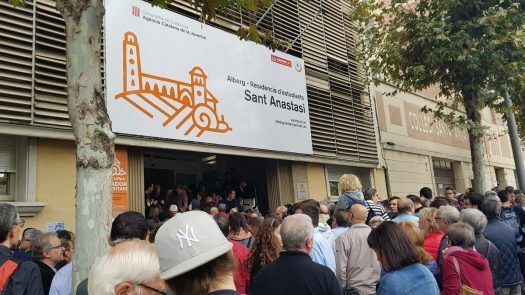 People get instructions for the referendum day. The first people to vote enter and people applaud them. 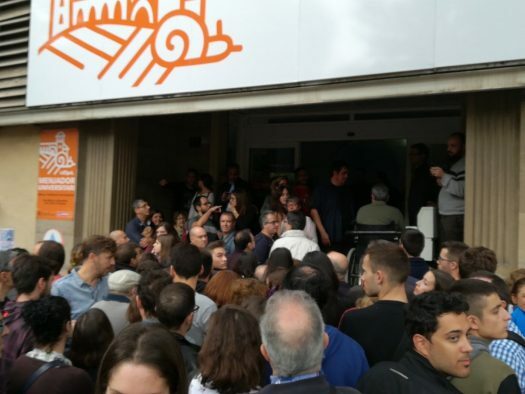 A crowd protects the centre. The elderly are applauded as they go to vote. People are preparing to resist. 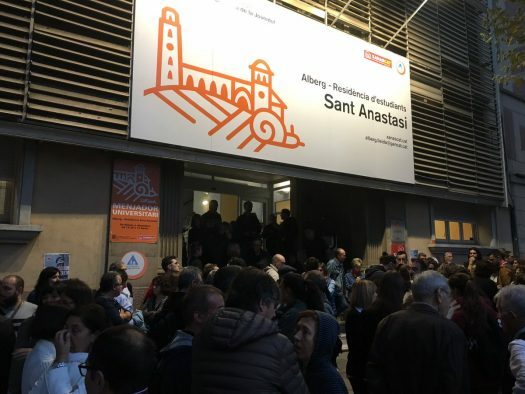 A Sant Anastasi la gent es preparar per resistir! Elderly people going to vote. Some people stay there all day.